KIGALI – South African President Cyril Ramaphosa “gave instructions” that steps be taken to settle Rwanda visa concerns but “someone” is actively jeopardizing those efforts, according to President Paul Kagame. He told South African daily The Star that the “someone” prefers South Africa works with Rwandan dissidents instead of the Government of Rwanda. Gen Kayumba Nyamwasa, leader of the Rwanda National Congress (RNC) lives in Johannesburg. Many of his members are there as well. Of recent, they are said to operate from Uganda, Burundi and DR Congo – in collaboration with Rwandan FDLR rebels. Nyamwasa is also one of the causes of the ongoing bitter fallout between Uganda and Rwanda. “Those individuals who live in South Africa, if you trace back how they came there, there is something wrong with what they were involved in. Under normal circumstances they wouldn’t be welcome in South Africa, let alone be preferred in terms of relationship,” said Kagame, in the interview published Monday. 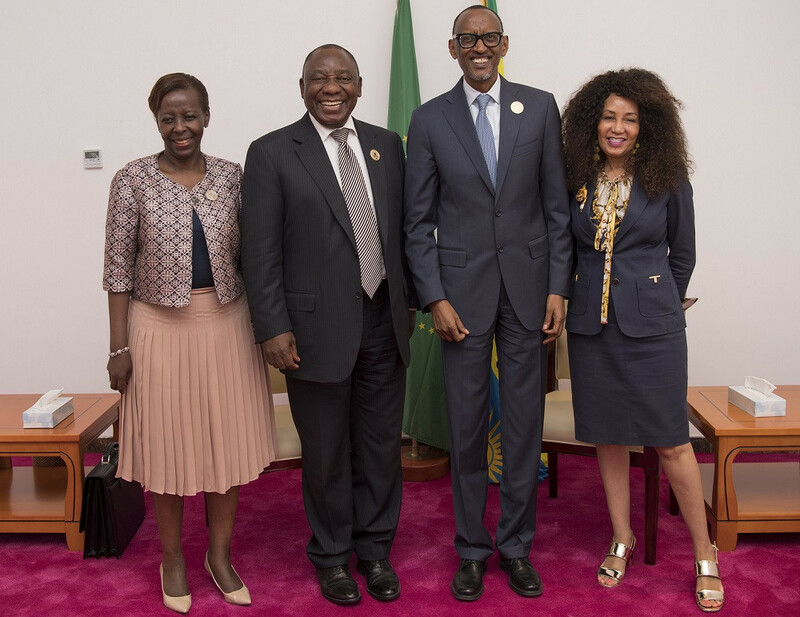 Despite various meetings between Kagame and Ramaphosa, South Africa International Relations Minister Lindiwe Sisulu shocked Kigali when she said she had met Rwandan dissidents and that they were ready to negotiate with Kigali. Rwanda says it has never been informed formally of the talks issue, instead reading it in the media. The situation was also complicated when the South African department of international relations angrily reacted when a tabloid in Rwanda published a commentary branding Sisulu as a prostitute and Nyamwasa’s whore. Following incident in South Africa when another RNC founder Patrick Karegeya was found dead in a hotel room, Rwandan diplomats were expelled. Visas for Rwandan nationals were blocked. Only Rwandans with official passports can travel to SA. Ramaphosa has been asked about it whenever he visits Rwanda for various international events. He repeats the same stand that the visa issue was on the way to being solved. “The door is open when South Africa finds it more appealing to deal with us than with those groups,” said Kagame in his interview.